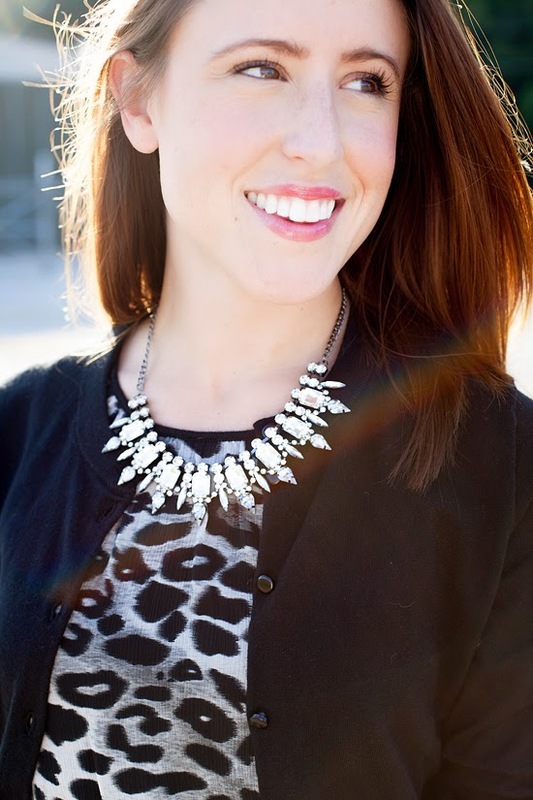 Giveaway Alert: Daisy Gem is giving way this gorgeous necklace & spiked bracelet. Daisy Gem is my go to shop for punchy, outfit making jewelry without breaking the bank. I'm so excited that 10 lucky readers are going to up their jewelry game with a new necklace & bracelet set! Good luck!! Enter below to win this necklace & bracelet set through the Rafflecopter widget below. Open only to US readers, 10 random entries will be chosen after 1 week. 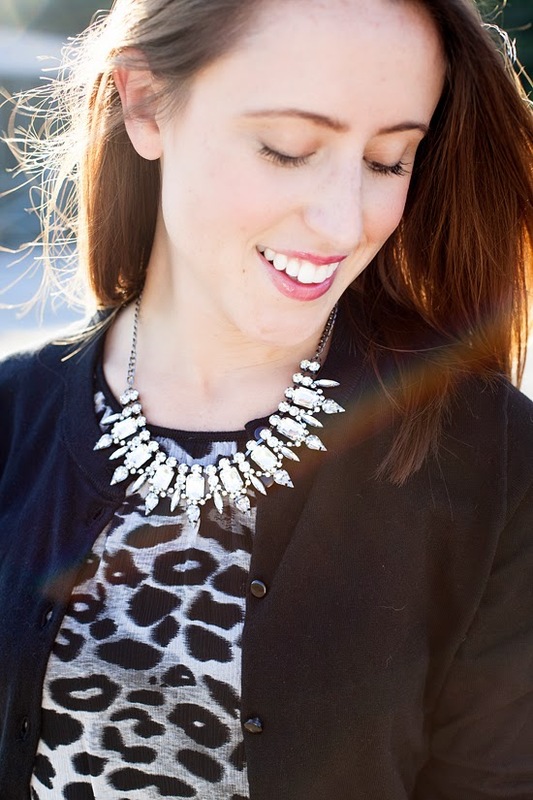 Wow this necklace really stands out with this perfect fall outfit. BTW, I host a weekly TBT Fashion link up on hope to see you this Thursday. Fantastic skirt and necklace! You look so beautiful and feminine! Super cute! I love the whole look. The accessories really pop. 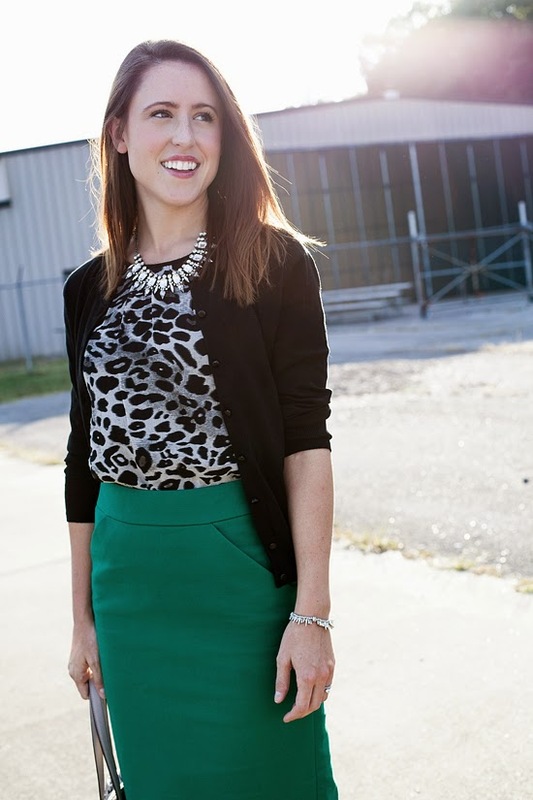 I'm loving your leopard print with that green skirt! I love the leopard top! I need more green in my life. That pattern + color of skirt is absolutely stunning! 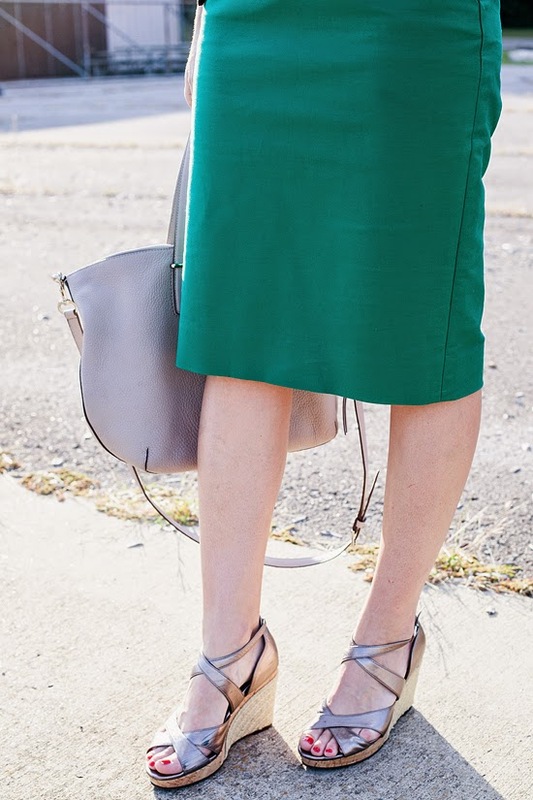 That skirt is perfection—I love the jade color! love these photos and beautiful look! you are stinkin adorable, I love everything about this professional but fun look! I love jewel tones for fall! That skirt is gorgeous. u look abs flawless. love love! xO! You look GORGEOUS! I love the color of this skirt! ooo--nice shiny bling! very pretty outfit! I love this pencil skirt on you, the color is so pretty! Gorgeous outfit! Especially love the top. I also have to say you always have the best lighting in your photos! Okay seriously? That second photo? Just quit life and be a model already, Jessica. JEEZ. Also I love this look, you know I die for any kind of colored pencil skirt look! I love your style and you are beautiful :) great blog, I have followed you with Bloglovin and GFC, if you ever get a chance to check out my blog I would be delighted, thanks! I love the combo of that top and skirt! Loving this look! That statement necklace, and skirt are fabulous! Looking so gorgeous in this pics Jess! love that tank. Thank you! I really do feel powerful in a pencil skirt! I recently realized that I lacked green in my closet too. This skirt is such a rich color green in person, you definitely need it! Thank you so much! This was a fun look to wear to teach too! Thank you! It is my new photographer, she is AMAZE! You are too sweet - it is 100% my new photographer being a boss! I'd agree, she has a great eye! I loove photos with great lighting, they're the best! Perfect teacher outfit! This is definitely something I would wear to work and I think I have most of the building blocks in my closet.